Running technique, that's something I'm always working on and learning how to improve. One thing that I have to work on a lot is pacing. I tend to start out too fast and have trouble finishing strong because I used up all my energy early on. If you have this problem too, here are some pacing tips to help. What is running pace? That's a question I've been asking for years. Here's a breakdown of the different running paces, written for someone who doesn't have a "degree" in running. If you experience shortness of breath or side cramps, this is a good sign that you need to slow down. But there is a simpler test. Just try singing a line to your favorite song while you are running. If you find this task impossible, you are probably running too fast. You might find the ability to carry out this multi-task comes in handy when you're pushing a screaming baby in a jogging stroller. 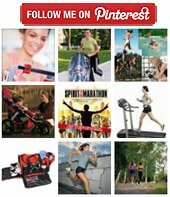 My first two marathons I ran most of the first 16 miles and walked most of the last 10 miles. For my third marathon, instead of running until I was so fatiqued I could barely walk, I learned to conserve my energy by taking walk breaks early on. The result was that I was able to run (with a one-two minute walk break) all the way to the end. Since then I've become a big fan of planning walk breaks in order to help better pace myself on long runs. The alternative to taking walk breaks is to slowly build your mileage up in training. Start with a distance you are very comfortable with, say a mile, practice that 3-4 times a week and then build it up from there. Your body wil learn to work harder over a period of time, if it's not pushed too hard too fast. Build up your no more than 10% a week, and before you know it, you will be able to carry out your running pace for longer than you ever imagined. The Garmin Forerunner is a great watch to help with pacing. You can tell it what pace you want to maintain and it will beep at you if you go above or bellow that pace. You can purchase a Garmin, or just check it out here. If you're looking for something a little less complex, you might try an interval watch. This is great if you are running with walk breaks. I set my Timex Ironman Inerval Watch to anywhere from 10 minutes of running and 30 seconds of walking to 3 minutes of running and two minutes of walking, depending on what my goal is for that run. I even reset the intervals during some of my really long runs. For example, I might start with a 5:1 for a marathon, then change around mile 16 to 4:1 and then change for the last 10k if I'm feeling really exhausted to 3:1 or even 3:2. Or if I'm feeling great and I've trained really well, I might change back to 5:1 for the last 10k of the marathon. 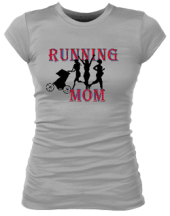 Here is an interactive forum where you can share your running techqniues or read tips contributed by other running moms.